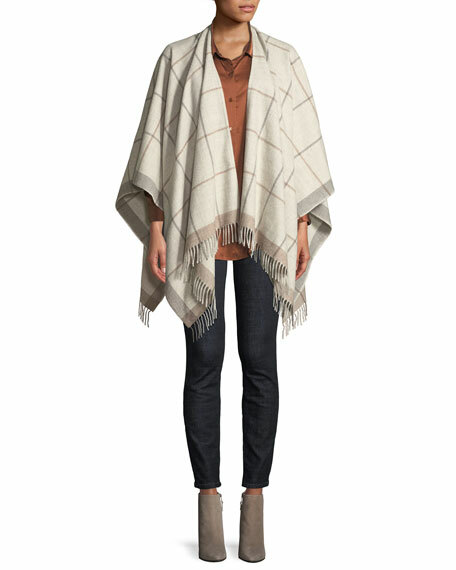 Eileen Fisher poncho featuring grid pattern. Open front; drapes over shoulders. For in-store inquiries, use sku #2665869.